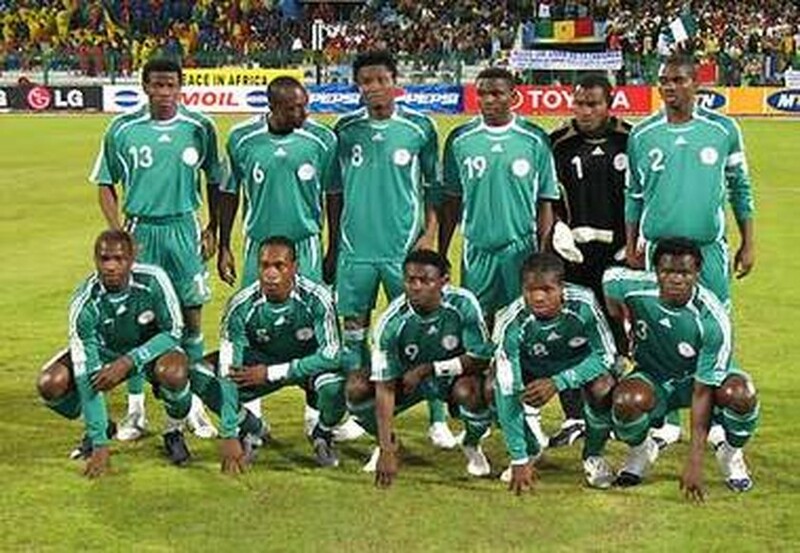 LAGOS, May 23, 2010 (AFP) - Nigeria have set an ambitious semi-final target at the World Cup. The Super Eagles, as the Nigerian team are nicknamed, are drawn in Group B along with Argentina, Greece and South Korea. "We have a great chance to do well in the World Cup," said Nigeria coach, Lars Lagerback. "Even the time I coached a small country like Sweden, I have always had the ambition and the belief that we can win matches and do well at the World Cup. "If you don't believe that you can win matches in a tournament as a team and as a coach, then you don't deserve to be at the competition. "Playing football at this level is all about winning. I think there is a realistic chance for Nigeria to go a long way in the World Cup." This will be Nigeria's fourth World Cup finals. They reached the knockout rounds in 1994 and 1998, but failed to go beyond the group stage at the 2002 event in South Korea and Japan. The west Africans are notorious for chaotic preparations to major tournaments with the World Cup no exception. They fired the coaches who qualified them for both the 1998 and 2002 competitions barely months before the big kick-off, and this is also the story leading to South Africa. Indigenous coach Shuaibu Amodu was replaced in February/March by Lagerback soon after the Africa Cup of Nations in Angola. Under Amodu, who suffered a similar fate before the 2002 World Cup, the Eagles were far from convincing even against minnows like Equatorial Guinea and Sierra Leone. Nigeria only secured World Cup qualification on the final day of qualifying action after Mozambique did them a huge favour by upsetting group leaders Tunisia and the Eagles edged past Kenya 3-2 in Nairobi. In March, former Sweden coach Lagerback was considered for a five-month contract ahead of several seasoned coaches like Sven Goran-Eriksson and Glenn Hoddle for the Nigeria top post. With a limited time at his disposal, he monitored Nigeria's top stars scattered in Europe and the end result was a predictable 30-man preliminary squad for the World Cup. Former international Garba Lawal defended Lagerback's choices, arguing the coach could not afford to experiment in South Africa. "A new coach does not mean an entirely new team especially for a country like Nigeria, where we are not patient because we expect results immediately and all the time," said Lawal, who featured at the 1998 and 2002 World Cups. Locomotiv Moscow striker Osaze Odemwingie is the Eagles top star. The 28-year-old striker or winger, who holds dual nationality as his father is Nigerian and his mother is Russian, stood out in the qualifiers with pace and a whole-hearted commitment to the cause. Nigeria will also rely on the experience of skipper Nwankwo Kanu, who at 33 is set for his third World Cup, and players like Rabiu Afolabi, John Utaka, Vincent Enyeama and Joseph Yobo, who all featured at the 2002 World Cup. However, there have been concerns over the match fitness of several of the country's top stars including Real Zaragoza striker Ikechukwu Uche, who has returned to action after he was sidelined for seven months by a serious knee injury. He was the Eagles joint top scorer in the qualifying tournament with four goals. There have also been complaints about a suspect defence as well as a midfield lacking creativity since the retirement of Austin 'Jay Jay' Okocha.